As fans gears up for the eighth and final leg of HBO's mammoth fantasy show Game of Thrones, the makers have unveiled a behind-the-scenes video showing how the larger-than-life cutting-edge visual effects are conjured up from green-screen enveloped sets. From the gigantic fire-spewing dragons to the cross-continental battles, Game of Thrones has garnered a cult following not only because of its mind-bending plot, but also because of its sheer scope and scale. Steven Kullback, GOT's VFX producer, likens working on something this large-scale with working on a circus, where pushing boundaries does not only imply using advanced technology but also geographical displacement, "10,000 miles away from home." As the show has grown in leaps and bounds, so has the VFX team— from a meagre four-person squad to 24 previsualisation artists, three additional supervisors, multiple concept artists, visual effects editor and even an air traffic control team. “In seasons 2 and 3 we were looking at 600 and 800 shots in a given season. Now we’re looking at multiples of that in a single episode," Kullback reveals in the video. He adds that the most challenging part of the show is creating a character from scratch with special effects, that not only stupefies the viewer with its grandness, but also elicits an emotional response from them. Hence, Viserion's death was not only meant to look convincing, it also had to convey the pain that the creature was undergoing. 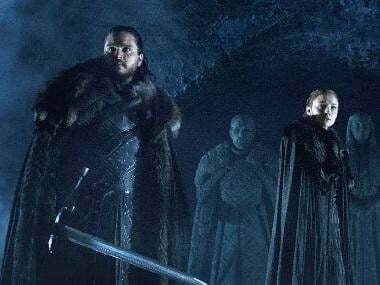 Game of Thrones season 8 premieres on HBO on 14 April.